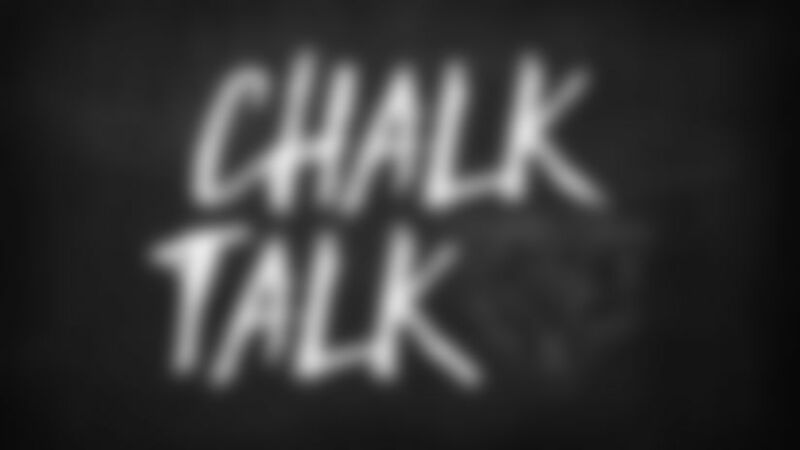 Chalk Talk: What’s key to beating Giants? What do you think is the key to beating the Giants this weekend? I know they have a poor record, but I think they're a better team than their record indicates. I agree with you. Six of the Giants' eight losses this season have come by seven points or less and they've won two of their last three games, albeit against weak opponents in the 49ers and Buccaneers. I'd say the key, as always, is winning the turnover battle. The Bears have excelled in that aspect of the game this year; they haven't had a negative turnover differential in any of their first 11 contests for the first time since the 1970 NFL/AFL merger. I would also say that not allowing any big plays also will be important, especially given that the Giants have two game-breakers in rookie running back Saquon Barkley and veteran receiver Odell Beckham Jr. Asked about Barkley, Bears defensive coordinator Vic Fangio said: “It's going to take all 11 people to stop him. This guy will take any handoff that's designed to go anywhere and the ball could end up anywhere. It's going to take all 11. This guy's a really good back. He's as good as advertised. He's got speed, power, elusiveness, so he's everything that he was made out to be." How many of the Bears' NFL championships came in wins over the New York Giants? The Bears have won nine NFL championships and four of those came via title game victories over the Giants. The Bears won those championships by scores of 23-21 in 1933, 37-9 in 1941, 24-14 in 1946 and 14-10 in 1963. It seems to me that rookie James Daniels is improving every game. What are the coaches saying about his progress? Bears coaches are very pleased with the strides that second-round pick James Daniels is making at left guard. He still makes some rookie mistakes as expected, but he typically learns from them—and most importantly—doesn't repeat them. Here's what coach Matt Nagy had to say about Daniels this week: “He's doing a good job, yeah, he's developing the right way. He's No. 1 a young kid, he's young, and he doesn't have a lot of experience, so every game he gets is going to help him out in the long run. He's been taking coaching well, he's been trying to do everything he possibly can to improve his technique and every snap that he gets is helping him immensely."